Microsoft’s next console, codenamed Project Scorpio, will be called Xbox One X, the company said today. It will be out on November 7 worldwide and cost four-hundred-ninety-nine U.S. dollars (aka $500). The big buzzwords are “True 4K,” and Microsoft is touting Xbox One X’s higher resolution. It’ll support all previous Xbox One games and accessories, and Microsoft says the X will allow current Xbox One games to look better than they do on standard consoles. 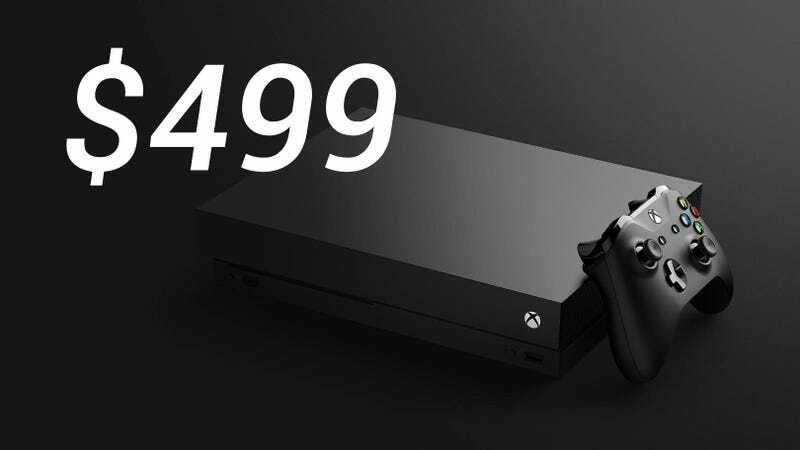 Speaking on stage during the company’s E3 presser today, Microsoft rattled off a list of hardware specs, telling fans that it will be the “smallest Xbox ever” despite its power. “This is the system you asked us to build,” the company said.